Mangowhite body line containing tropical fruit mangosteen for               refreshing mind and brightening skin. The It’s Skin Mango White Cleansing cream is a moist cleansing cream formulated with Mangosteen, plum and green tea extract. This creamy product provides deep cleansing as it removes oil and makeup as well as dirt without leaving the skin dry. It also provides a refreshing sweet tropical scent to further give the skin vitality and vigor. Dispense appropriate amount of cream and apply onto face. Gently rub and massage, wash face after. 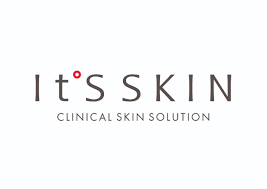 It’s Skin is a leading cosmetic brand in Korea that is based on clinical skin solutions prescribed by dermatologists. Their products are developed by analysing and researching common skin issues and solving them based on clinical studies. It’s Skin combines natural ingredients with state-of-the-art science to produce minimal-irritant makeup and cosmetics designed to showcase the skin’s natural beauty. Mineral Oil, Water, Glycerin, Triethylhexanoin, Butylene Glycol, Caprylic/Capric Triglyceride, Cetearyl Alcohol, Garcinia mangostana (Mangosteen) Peel Extract, Petrolatum, Polysorbate 60, Glyceryl Stearate, Stearic Acid, Ethyl Hexanediol, Triethanolamine, Cetearyl Olivate, Cetyl palmitate, Dimethicone, PEG-100 Stearate, Fragrance, Acrylates/C10-30 Alkyl Acrylate Crosspolymer, Sodium stearoyl glutamate, Sorbitan Olivate, Glyceryl Caprylate, Lactose, Camellia sinensis Leaf Extract, Cudrania tricuspidata Bark Extract, Prunus mume Fruit Extract, Cellulose, Lactobacillus Ferment, Saccharomyces Ferment Filtrate, Disodium EDTA, Iron Oxides, Iron Oxides, Tocopheryl Acetate, Hydroxypropyl methylcellulose, CI 15985, Red 33, Blue 1.